What do we mean when we say "Fun Wedding Photography"? 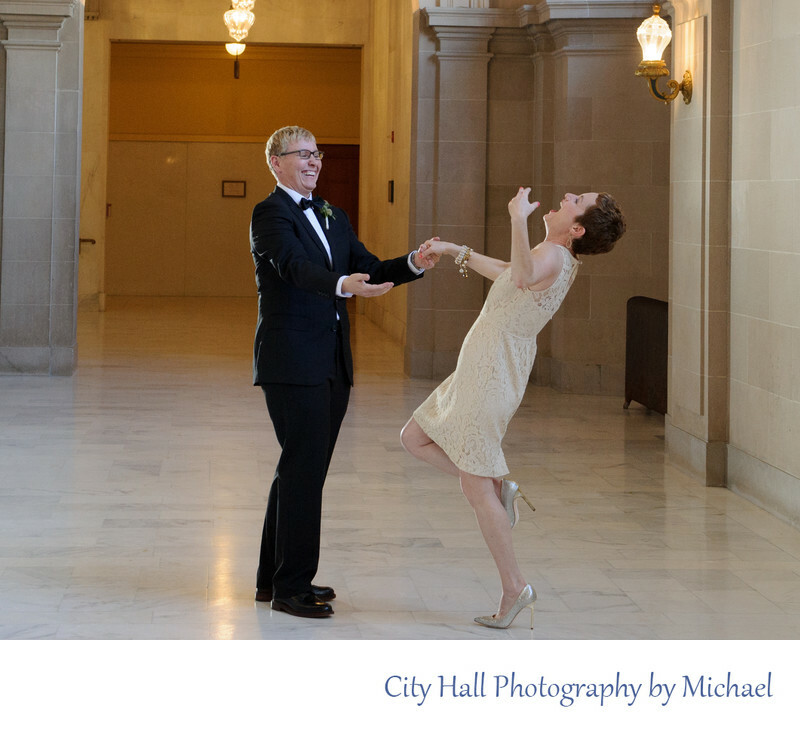 We don't view photographing your city hall wedding as a job. Instead, we think of it as an opportunity to ensure that your wedding day is memorable and fun. 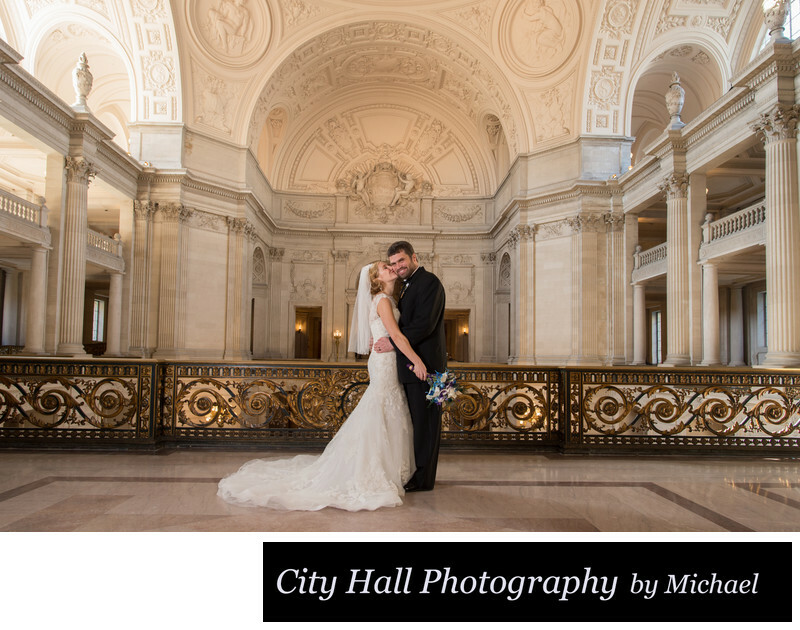 So we approach every city hall wedding shoot as a chance to have a great day for all involved. We want your memories to be positive, not only because you are getting married, but the photography part as well. We do this by keeping the mood light hearted and not too serious. Yes, we understand that our job is important, but if we stress our married couples out the photos will suffer. In the photo below we asked the couple to dance around on the 4th floor. As you can see, they used this activity to experience a fun moment, which we were able to capture for their memories.